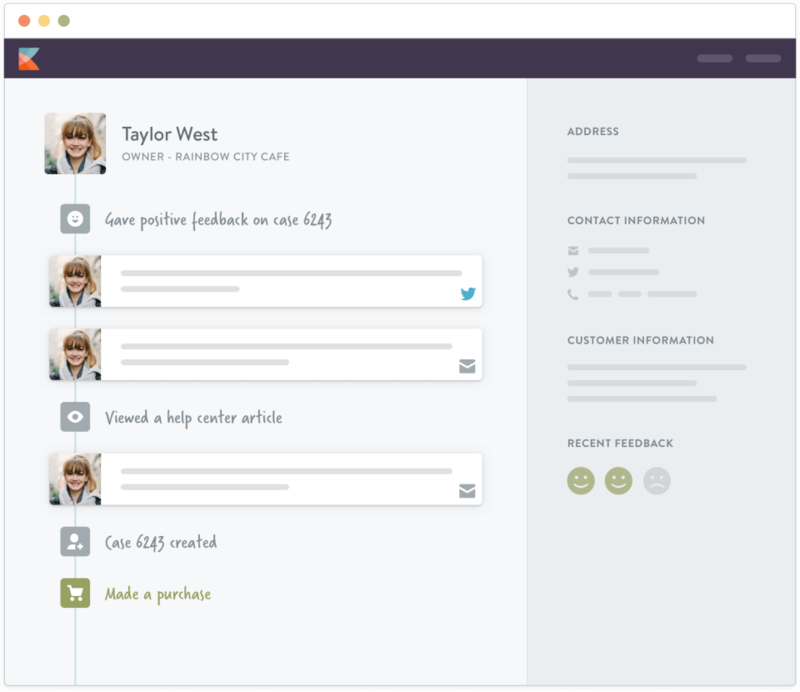 With Kayako, customer-obsessed businesses get better at delivering effortless customer service experiences. Customer service is changing. Today, your customer expects to be recognized and understood as an individual, not a ticket. 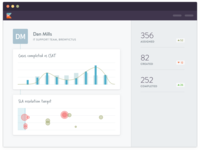 Unlike traditional helpdesks, Kayako connects the dots between your support channels, your customer's information, and your team. Kayako is used by over 130,000 customer support pros in businesses around the world, including Peugeot, NASA, and Fedex. Pros: Kayako has been the best communication platform for professional communication that I have used so far. 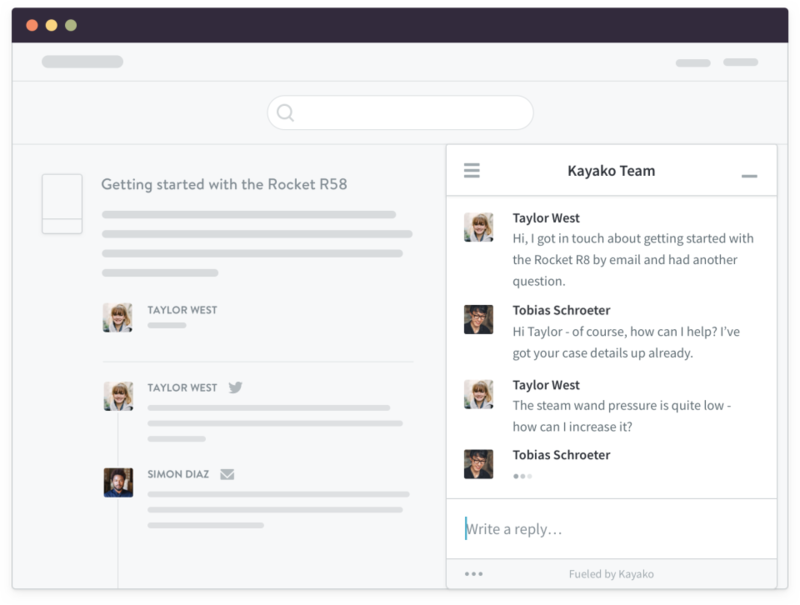 Kayako is recommended for both inter-team and external - client communication. The best feature of kayako is that it allows you to organize your emails into folder based on departments, status and the nature of the email content. Also using other type of email platforms has been a worry at times and time consuming when trying to find all the back and forth communication happened on one email thread by multiple people, but kayako provides the best solution by capturing all the communication happened on one subject/email which is sent and received by one or many, in the same email thread which we call a "Ticket"
Interface of kayako can be designed and created as per the user's requirement and preference. Also referring to an email has been very convenient as each ticket carries its own unique Ticket ID. It also provides reports on emails based on its nature. ex: overdue, received within 24hrs and etc based on rules we set which allows to the user to be more organized, effective and proactive. Cons: Understanding and using the software is essential as it doesn't function like other email platforms but has its own organized interface. Inter team communication The software is mainly build for professional communication however I wish it could have few other options like adding colors, tables and etc but apart from that no other cons to mention. Overall: I love using kayako as it has been the best communication platform which not only allows me to communicate but also provides me reports on any urgent email that I need to act on immediately which saves me from delayed tasks and replies. Since we switched from outlook to kayako software for inter-team and client communication, kayako has provided the best communication platform which allowed us to to have an organized, easy to refer to and not only use but also can view any sent/received email from any location via any device. Kayako Classic (On-Premise) is a solution that covers all areas of support and more. Pros: It covers many areas of daily conversation handling activities: Ticket, Incident, Problem, and Complaint handling situations. If the basics do not suffice, custom fields and tracking options help iron out missing pieces. It contains a Knowledgebase that allows you to record Articles and information. Survey system (very handy for Event-Driven Surveys); Reporting options and quick access to tickets. One of the KEY FEATURES is that the tool is FAST and keeps a focus on the work area for staff, rather cluttering everything with detail fields. Finally, the web-interface is fully customizable and very useful in granting options to access the conversation handling tool. Did I mention Kayako Services being great in helping to resolve questions and issues when contacted? They do this very well! Cons: It lacks a few items that I wish would be included (software is always under constant development, and Kayako customer service is very responsive and friendly): proper comprehensive auditing when tickets are handled (like automatically submitted communications recorded with date and time); Complaint Handling structures based on tickets; improved linkages between tickets (though possible it is not done in a single click); KBA link to tickets; Reporting is nice though it lacks options to customize charts, colors and the way detail can be presented (formatting through configuration rather customization). Another drawback in a recent release is that a lot of browser cell padding has been introduced causing the display of elements unnecessarily spread out across a regular HD monitor. Luckily this can be customized using CSS injection or system-wide CSS manipulation. Overall: Customer Service Improvements resulting in winning a German Golden Stevie Award 2018. Pros: As we use Kayako for a long time (since 2012?) you get used to it which makes it difficult answer. Thinking about it stability comes into mind. Beside usual software bugs our system is very stable and reliable and doesn't need much maintenance. We like the new UI that came with classic 4.90 as it gives a modern look. From the feature perspective ticket management works very well for us in general but there isn't a particular feature to high light. Cons: In first place we are missing the commitment for Kayako classic. Nothing has happened since two years (going to cloud announcement). However, this might change now. There are a lot of things that can be improved like Knowledge Base, File management, workflow, troubleshooting, etc. Back porting some of the new cloud features would be also much appreciated team collaboration, one workflow, etc. Lastly a much better and faster context aware search would help us a lot. All of this has recently discussed with our new Kayako contacts. Overall: Getting us closer to our customers and helping them solving their problems. Kayako delivered that base functionality and more at the time we switched from one of the Atlassian products (2012). Since than we have enhanced to improve out internal workflows. However, there is a lot we would like to see in the near future to shorten ticket work time and able to switch to customer self managment / help for the simple stuff. The more we can get out of the core / base functionality the better it is for us which requires real commitment. Btw. Industry selection is missing Enterprise software or similar. Good choice although there are some problems. Pros: 1- Beautiful user interface. 2- It Supports all activities in a helpdesk process. Cons: 1- When you are Kayako admin and at the same time one of the staffs (Agent), you have to switch so many times between Admin / Staff panel to do your tasks. sometimes it makes me confused because knowing which setting is in admin panel and which one is in staff(Agent) panel sometimes is difficult. 2-I can say that Kayako is designed for too many clients for a limited number of services. If you have too many services each of them assigned to a client, Using Kayako would be difficult (But Possible). for example, you have to set permissions for widgets separately. 3-Kayako is not suitable for small teams. it requires a lot of time and effort for setting up. 4-Kayako integration and API's are limited. We couldn't integrate Kayako with our Self-Built project management and timesheet system. Overall: There are so many helpdesk systems, Kayako has been our selected one, but we are still looking for better choice. Pros: The new interface is very modern and much more exciting than the other interface. It is much faster and friendlier to use. The support is available for questions and bugs, whereas some competitors do not offer support of implementation. The price of the software is a little steep when comparing it to competitors that offer more, but being a Kayako customer for 10+ years on a perpetual license granted us a pretty steep discount that made the pricing make more sense for us. Cons: I wish they had more features such as ability to get more customer feedback which would help our product development. There are other software similar to Kayako that have a feedback component that allow users to voice their "opinions" and then other users can vote on that. I would like to see this in Kayako and have been asking for about 10 years now. 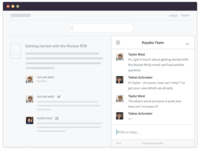 Overall: Kayako helps keep all of our customer communication centralized into a single support suite. It allows our customers to engage more frequently with self-serve help (knowledgebase), chat, and email. Kayako makes it easier for our staff to troubleshoot and resolve any issues. Customer support across multiple channels. Pros: Kayako enable our sales team keep track of tickets opened by our customers.We are able to save some of the most asked questions our customers commonly ask the sales team ; ensuring for every time these common questions are asked , it is just a matter of a few mouse click and they get a pre-saved response. Integration is seamless ,and we currently integrate Kayako with Zapier and our social media platforms.Our integration with Kayako required no single line of code to get this done. With social media integration , Kayako has enables us offer support to customers and also interact with them on the Facebook and Twitter platforms.Allow us turn leads into customers on social media. Cons: Support with Kayako can be a bitter ,sweet experience. There have been times when support had been prompt and at other times ,it was a terribly poor experience. The Kayako support department need to be consistent with good ,prompt customer response. Great application, the only one with the "Follow up" feature. Pros: Customer support are great, they're really helping and I'm getting a great service. They're answering tickets really quick as well. Cons: 1. Reports aren't that professional with the Classic Kayako, and the KQL is hard to understand, i believe that you have to make it a bit easier and user friendly. 2. I would like to upgrade to Cloud Kayako, but there is a missing feature which is highly important for me, the "Follow up" feature, this feature letting me create a trigger that will open my ticket after several minutes, this feature implanted only in the Classic Kayako. 3. From the moment you've changed your pricing method, it's a bit expensive.. and while having customers that would like to get reports (most important for them) Kayako Classic at least doesn't give the best value here, i don't know about Cloud Kayako. 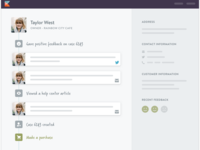 Pros: Kayako automates a lot of the communication and tracking processes for us. Since my company has put the time into setting up Kayako to meet our companies needs, I am able to focus mostly on client communication and not administrative tasks. Cons: The system is very particular about what you can and can't do. Things that seem like they would be obviously included do not exist (seeing all open tickets from an organization, for example), and must be either set up manually or gotten to in a roundabout way. Kayako also requires a steep learning curve and is not an intuitive system. Overall: Kayako is where we manage all of our client tickets. It is great for my daily work routine and allows me to stay on top of many tasks at the same time. I have been working with it for 1.5 years and it works great for me now, but the first few months took a long time to get used to. Things are not where you would think they would be. The system is VERY customizable, however, and if you have a person that can put in the work to set the system up, it can be bent to fit your specific company needs. Pros: I like how effective Kayako's support team is. They reply in a timely manner to help fix the issues at hand. I also enjoy how easy it is to use, and allows for employees to stay on top of logged faults, tasks and other items within the system while providing detailed updates to keep the customers in the loop. Kayako has been our main helpdesk software for the past 7 years. Cons: There is not too much I don't like about Kayako, I believe their live chat incorporation to websites could use some work. It would also be perfect if they can link it to CRM as we currently have to use these separately. Overall: Excellent support system, Kayako assists us with providing great online help desk support via ticket logs and live chat to our clients. It's great, but we like to be as efficient as possible, which means tabbing through everything. Pros: The look and feel. 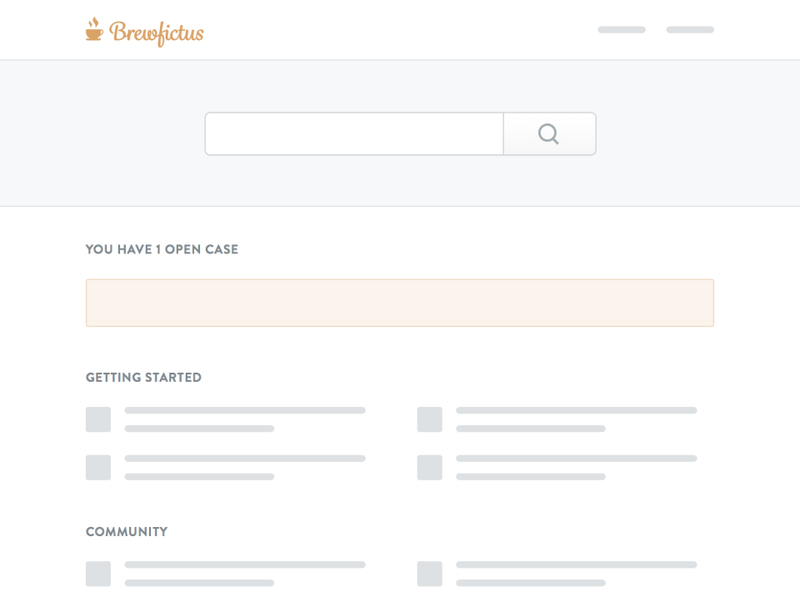 the customization options and custom insights. Filtering and suspending messages options. Ability to send all the messages we want to our inbox and not the ones we don't want. Cons: Can't tab through and select "type, priority" etc. quickly without clicking (you could in the old Kayako). Can't forward or CC a message easily. Images and attachments not perfect. A little slow. I also can't figure out how to remove the "message sent from Kayako" signature. This should not be required since we pay for the product and it can be embarrassing when we're trying to send professional emails, so we opt out and use Outlook for those. Overall: Easy access to the emails we want, especially from Amazon. We have been using kayako for 8+ years and it was a great experience for customer support portal . Pros: Kayako has a modern fast interface that will guide you what queries you want to know , and the fast response from the server , also its mobile application . Cons: I was fetching a query to make csv or excel report exported for the tickets opened during last year for example , I made copy and past for all pages ! . I wonder if there is a way to export the list of critical tickets for example other than the way I used . Also , Manual Backup was removed from the tools . The monthly fees is high related to the dollar increasing . so far great. good response time. Love the new installed version of Kayako. It's so much faster!! Pros: the speed increase and the stability even though we have 100's of thousands of tickets. I'm assuming you're using more AJAX to load content which helped to improve the speed. I especially like the "light" design and how minimalistic the design of the site is. The focus is on speed which in return helps with speed of customer service. Use of the LoginShare to connect with OAuth2 to allow single login ID is fantastic. technically the upgrade process is not that bad considering the sheer number of attachments in the system. Kayako - Can be better! Pros: Kayako helps me organize my tickets into as many folders I want, thus making me work on those tickets conveniently and effectively. If I am an admin or have admin access to my staff folders I can also access all of their folders to get an update on tickets. It's easy to learn and use. I love the reports feature on Kayako. We can create as many reports we want and automate them. The follow ups feature is also great to keep track of pending tasks and serves as good reminder. Cons: There are a few issues I encountered as I worked on Kayako. Kayako doesn't allow us format the font or content, so underlining, italicizing etc is not possible in an email. We cannot include images, charts or graphs in the body of the email. When you hit reply on a ticket, the original email thread is not included. So if you need to know the previous conversation, we need to copy and paste the email. Overall: I have been using Kayako for more than five years. This has been the software we use for all internal and client communication. As mentioned earlier it is a simple tool which takes only a few times to practice, thereafter you get the hang of it. However after using other email softwares, Kayako's limitations regarding formatting, inserting images and capturing the entire thread has always been a hassle for me. Additionally we are only given admin rights to our own teams. If a ticket generated by me is moved to an internal team I do not have access for, I cannot view the updates on the ticket. Kayako is an advance in potential customers. Comments: I have been able to establish better attention with potential clients within my company, in this way, it has had a better control and thus obtain better finances. Potential customers have been satisfied when we use Kayako because we serve them at any time of the day. Pros: The best thing about Kayako is that it has many, many ways to communicate with a potential client, and this is very important and very influential because it allows a connection with more progress and makes the client get more attention. Cons: I think you should improve a couple of things, such as prices, and customer service, the design should leave it as it is since it gives a lot of comfort and is nice, but should fix the support by 80% so that a better customer service. 4. Best of Customer service i know of. Pros: Admin tools for automatically dealing with tickets are great. Actually handling tickets is very easy, as is adding internal notes. Cons: Agent ability to search tickets is lacking. We had to make some changes to let our supervisors see every ticket message even if it is deleted by an agent. We could never get the knowledgebase to work the way we wanted. Sometimes it is not clear who is getting copied on any specific ticket reply. Overall: We have our helpdesk using this every day. We get very few user complaints about the ticket system itself. comparing any other current tools like freshdesk,everest .. etc, this is the best and cost effective tool. Great product. Works well. Customer Support stinks. Pros: Layout is nice, many great features, customize-able, good price, very easy to use, very easy to set up and implement. Cons: Customer services stinks. If anything goes technically wrong their tech support is outsourced. The workers work 9-5 so the only way to talk to them in the USA is by staying up until 2am. The tech support that you talk to during USA hours are fairly helpful with basic things but take a long time to get back to you. Overall: Just a very nice, easy to use helpdesk service. Pros: It's ease of use, especially with tickets creation and handling as well as tracking tickets, color categorization for easy identification of customers and prospect based. Overall: It really improved our engagements with our customer, prospects and visitors who visit our webpage on daily basics as well as seeking support and customer services. Cons: - This software legs on HTML email parsing side which can be improved. - On pricing part, they are charging on higher side and they needs to be competitive. Overall: Overall experience is good. We got their support every team of their teams. On cost side they need to think through from customer perspective. Pros: Kayako allowed us to manage our Help Desk while keeping costs down but still providing enough functionality to streamline our support and communication to the users. Overall: We installed the On-Prem version of Kayako and for the most part were happy with its functionality and management of our help tickets. Pros: What We love about Kayako is the chat engagements we can initiate with customers who visit our website. With the help center, customers can view our help center articles, submit tickets or reach out to us via chat. The functionality of Kayako keeps us organized and able to respond to our customers in a timely manner. Cons: A couple of things need improvement but not so much as a con. The reporting aspects of the software could be a little bit simplified. Reporting of Chat engagements and possible integration with Google Analytics would be fantastic. Overall: With this software, we were no longer jumping back and forth dealing with different programs to respond to our customers. It has been great to instantly chat with our customers, respond via tickets or emails in a matter of a few seconds. 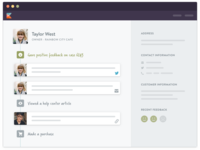 Pros: Kayako provides the flexibility we need to keep engaged and communicated both with our external and internal customers. Our support departments love the simplicity and clarity of the communication, and our clients have gained a tool through which they feel close to our team. Working with Kayako has made our life easier! Cons: There are not many cons to our experience. Even as we believe that the tool might help us better integrate additional internal users to simplify the behind-the-scenes processes we have, we do believe that they way the tool is built now is great. Pros: Easy to use software, makes customer tracking, communication, and support more efficient. I use it mainly for the ticketing system to keep the company as well as the customers who log faults up to date on the status of their support ticket. Cons: As I have used many live chat software in my field, I am not too fond of the live chat ability of Kayako for websites. The implementation is not very user friendly. We have used kayako for years now. It's very valuable to our day-to-day operations. Pros: It's been easy to use, and makes it easy to stay on top of many different customer issues. Whenever we have had a question Kayako support is able to fix the issue quickly in real time. Cons: I really don't have a negative comment to say about the software. It's invaluable to our operation. Kayako customer support is alway able to assist quickly in real time. Overall: Very easy to use. Helps us track hundreds of email tickets daily. Overall: visibility on our customer support service, how many tickets are opened, what is the average time of handling, how many were escalated. etc. Pros: Easy to use, depending on your license is very customizable. External add on works but with serious limitations. 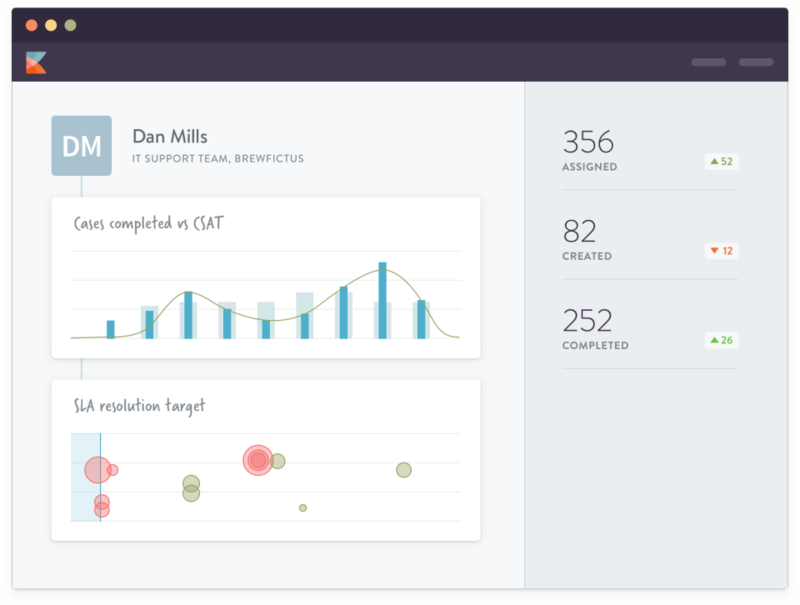 Pros: Multi-channel support, live chat, time tracking (makes support we provide over live chat easy to track and easy to bill), shared inbox and FREE collaborators in the growth plan make supporting customers simple and effective. Cons: It would have been great if Kayako was also built for sales and lead gen. Currently our support team gets more value out of the product. Pros: We have really liked Kayako's ability to provide context. Unlike other solutions out there, Kayako gives us a complete view of every interaction a customer or prospect has had with our business. This includes interactions with agents as well as software we have integrated on our site (for example paypal). If a payment fails we know of it before a user gets in touch. And when they do we're ready with a solution. 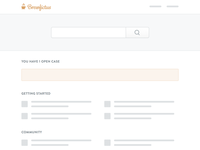 The Customer journeys and conversations feature is fantastic. Really puts customer and prospect interaction history at my teams fingertips. Cons: There are times my team is unavailable and during that time i feel a chatbot could really help direct users to resources. We are making do without it right now but i imagine such a feature would take things to the next level and make life easy for both our team and our customers. Pros: The number of features you receive "out of the box" compared to similar solutions cannot be beaten. During our discovery phase, Kayako offered more features for the price point. Being able to create a custom portal for customers/end users and have the ability to interact via live chat is a plus. 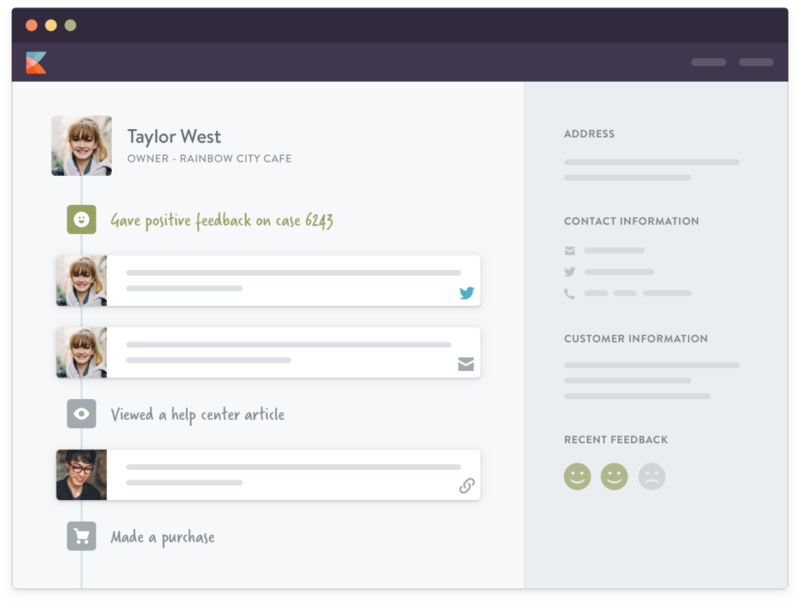 Kayako has changed our member experience because now members have one central platform for support. Pros: The way you can have email flow into Kayako and form request in one system. The macros which allow quick answers to everyday request. Cons: To change from Classic to the hosted version is a big change and if you have customized pages something will not transfer over. Flexible and focused, built around fresh concepts and technologies. Pros: I love it's UX design that feels modern and easy to use. The conversation metaphore is very powerful and automation macros system is really neat. Cons: Software internationalization and available translations are poor. Even if my team contributed full UI translation for language 'it' on transifex most of the UI is not translated yet. More than a year has passed since then. If you need to support multi-language for your users, check that required languages have full support. Overall: We set up our help-desk website and our support ticket system in no time. Multiple channels support (email and in-app chat in our use case) and case merging feature helped us keeping our support backlog clean and readable. The overall experience was ok. It gets the job done. But through the years we ran into some issues. Pros: It brings most, if not all functionality we need. The company still provides an on-premise version of the product. Support has reasonable reaction times, also they most only provide workarounds instead of solid fixes and solutions. Cons: Kayako feels out-dated all along. After two years of the 7.0 php release it still is not even fully compatible with any php 7.x release and up to today relies on the out-dated php 5.x versions. There are many other issues like the HTML-Mailparsing which have not been fixed completely in years now. Also we know Outlook 20xx do not create great HTML-mails still a lot of customers are using it and it is one the most spread applications in companies. But still the emails are not parsed correctly through Kayako. This should definitely have more priority. The forum is full of long threads and requests about this topic. Many people were upset, because resources were spent on creating a new webinterface instead of fixing basic functionality. Maybe customers should be involved in creating the roadmap for the product or at least help prioritizing issues. We've used Kayako for years and it's been great! Pros: Simple, Easy to Use, Customisable and Good Support. We've used this software for over 6 years now and it's never let us down. Overall: Great product. Great Support. easy to use, convenient and practical. How ever they could really work on their customer support. Pros: It makes it easy for clients to come in contact with us. It is also great that they can leave an offline chat and we can get back to them after the weekend or when we are back in office the following day. Cons: no cons about the software but its not cool to wait a week for a email from customer support that is less than helpful. lightning fast ticket handling for staff members and servicedesk. Cons: missing bits and pieces in API and datamodel. Pros: Super stable, secure, trouble free. Reply via email is quick and convenient. Easy to ban users and manage staff. Cons: Some advanced settings can be hard to find. The change from perpetual to subscription based fees was not welcomed and significantly increased the cost of the software. Overall: Able to easily support clients with questions. Pros: The tracking ability is fantastic. You will always be able to refer to a ticket and who the last agent was who handles it. Cons: Reporting is a little complicated. Especially when you have to create your own report. I also feel that there should be some more training on how to use the special features when you sign up. Kayako has made our jobs far easier and our service users so much more satisfied. Pros: Being able to manage incoming emails as tasks that can be assigned to people and then easily marked as complete when done has allowed us to work faster and more efficiently. Cons: Some of the options could be easier to use. I think that macros, templates and automated replies could be more user-friendly. Pros: Kayako is an efficient ticket management system and it's affordable. Cons: Occasionally there will be issues when creating tickets or adding attachments and multiple attempts will need to be made. Overall: Overall, Kayako works fairly well. I use it daily in my IT role to support our organizations users and to manage tickets. Pros: Always available. Ease of use. Customization ability. Availability of support staff, Knows the product inside and out. Cons: Only ONE feature, does not print the notes when using the PRINT functions. Cost to add another user a bit higher than expected. Pros: good features, good support, meets our needs. has been very reliable for our needs. support and product road map are favorable. Overall: we use this in our daily support of about 700 users. Pros: - Standard support tracking software not trying to "re-invent" how support should run. - Price is "ok", but alternatives should be considered first, given more mature platforms are available for the same price point. - Ready to go if you are looking for a simple support system with a single team / person / level of support. Cons: - The integration with the KB articles is incomplete and there is no value-add in using a single platform for both KB + Ticketing. - We have discovered that the software was completely overhaul 2 years ago to make it cloud-based (previously server installed) and not as stable as one would expect for a 10 yo company. - Their support is passing the "buck" continuously and ends up closing issues which were not resolved. - full disclosure we are planning on migrating away within 3 months. Pros: This software is fairly simple to use and can handle quite a bit of data. There is a lot of customization that can be done which makes the software quite flexible. The audit log feature is very simple to use and provides all status entries and updates in one easy to access location. Cons: This can be unstable at time but the fixes are always quick and easy to accomplish. The automated routing is lacking and I with there were more options for ticket generations and closures. The classic interface can be hard to navigate. Overall: This has allowed us to track and monitor our incidents and support issues pretty easily and has streamlined some of our processes. Pros: I like that we are able to integrate it into our workflow using the APIs. It is easy to use and helps us manage lots of support email and phone calls. Pros: The software was ahead of its time when my company started using it in 2011. Easy to organize. Nice ticket merging. Accountability with being able to assign tickets to staff with notifications, etc. When the new version of Kayako came out there was a lot of confusion on merging, upgrading, and it never ended up happening for my business. Cons: The utter lack of respect I was given as a long time customer was frustrating. I asked to get out of contract in the middle of a year long term for a partial refund. It took over 2 months to get a final 'no' answer. When the contract was up, it auto-renewed, even though I'd made it perfectly clear I had another system in place and no longer needed Kayako. I asked for a refund immediately and was told it wasn't possible. I had to do a chargeback on my card to get the refund, and THEN Kayako agreed to the refund. Why leave such a bad taste in my mouth as a long-time customer? It just makes no sense and pretty much guarantees I will NEVER be back. The new enhancements to speed up ticket viewing and responses is amazing! Pros: The software appears like since the design has been made more minimal. Cons: Upgrades are always a pain, but it seems it's optimized as best as can be possible. Pros: I like the fact that I am able to organize and keep track of the tickets I need to attend using many subfolders under my main folder. Cons: In some cases the filter is limited in such a sense that "not equal" terms need to be used to create meangful filter structures. Kayako has been effective for our company. Pros: I most like the easy real-time communication that is possible through Kayako. We are able to quickly assist our customers because of it. Cons: I wish I could delete the feature that tells the customer approx. how long it will take us to respond. When we receive a chat outside of our business hours, we aren't able to get back with them until the next day. This causes our "time to respond" to give an inaccurate estimate. Pros: The older "classic" version is very customizable, but does require considerable technical aptitude. Cons: The interface is a bit clunky and isn't very intuitive. You need need to know how to do basic html, css and even some js to get the client-facing side usable.